Sometimes sharing our stories creates a sense of community, a feeling of healing, meaningfulness through the journey, and emotional closure. Telling my personal account of my family’s experience with mesothelioma has been most therapeutic in my process of healing from the loss of my father. It is my sincerest hope that my reflections might guide others who have a similar experience. As a child, I wanted to do just as he did. 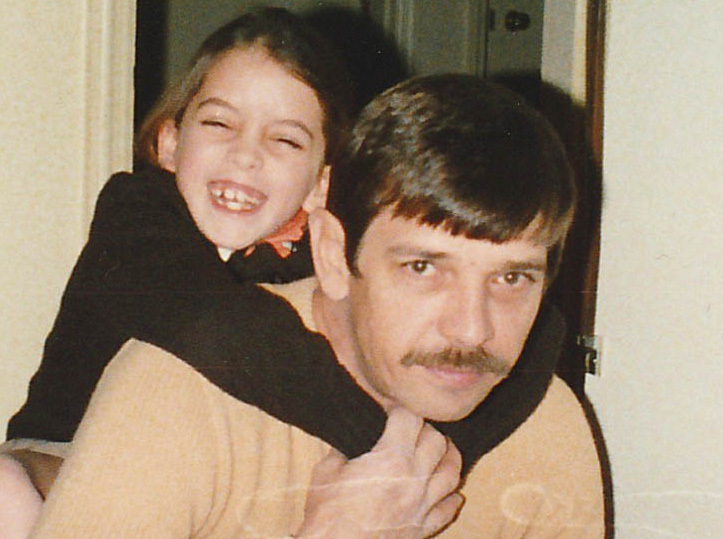 As an adult, I share many characteristics of my father: His eyes, hair color and skin tone. More importantly, I share his heart. As an adult, I still emulate him to the best of my ability. Though, I have yet to comparably fill his boots. I was just a teenager when my father died, so I’ve spent most of my life without him. Having Dad in my life for 14 years has proven very impactful. Even as an adult, when I face dilemmas, I rely on my father’s wisdom for guidance. I can still hear his thoughtful words emanating from my heart and mind, when I need to hear them the most. Most of my memories of Dad stem from a child’s perspective. To learn more about him, I reached out to his longtime friends and family members. What I learned is the nature of their relationship with my father shaped their memories. Collectively those memories assist me in developing a more accurate conception of who my father was. Dad’s work buddies shared stories of the same theme: A hard worker. My father worked until mesothelioma-related breathing problems no longer allowed it. Dad worked in the same paper mill throughout his career, moving up the ranks to become a supervisor. Dad worked diligently alongside his employees, only asking them to work as hard as he did. His siblings’ stories also shared a theme: A caretaker. My father was the eldest son in his family. He cared for his younger siblings in a patriarchal manner. Dad made sure they did their homework, scolded poor choices while praising the good ones and supported them throughout his life. As a brother, Dad was nurturing and thoughtful. Through much of his career as a paper mill laborer, Dad wore gloves fabricated from asbestos. Researchers knew about the dangers of asbestos long before the mill workers did. The paper mill employees were just earning a paycheck to support their families, entirely unaware of the deadly repercussions. My father battled mesothelioma for 13 arduous months. He endured chemotherapy, surgical procedures and radiation treatments in that time. Many of the innovative treatment options were not yet available in the 1990s but Dad utilized the treatment possibilities his oncology team presented. My father fought the good fight and opted for palliative care for his last few months. Watching mesothelioma test my family was the single-most-trying event my family faced. We fought together, alongside my father, supporting all of his treatment decisions. We cheered together, celebrating all the small victories we encountered along the way. We endured together, coping with the painful emotions families experience when facing cancer. As a clinician, I feel as though grief is an ongoing process, rather than a stage-based experience. I still mourn the loss of my father, decades after losing him. I grieve for him with each passing Father’s Day. I miss him during significant life events that fathers are supposed to attend. There will always be moments that I am acutely aware of the loss. Despite the lack of a physical presence, my father’s memory is alive and well in my daily life. I’ve taken the struggles my family endured and used them to fuel a desire to help others with similar experiences. As a therapist, I work with families facing difficulties, helping guide them toward individual healing. I often call upon my father’s wisdom to help me along the way. It seems the times when I need Dad most, I can feel him. Recently, I completed graduate studies at the University of the Cumberlands in Williamsburg, Kentucky. I was a little sad that my father wouldn’t be among those celebrating in the audience. It was bittersweet walking across the stage to participate in the hooding ceremony and accept my degree. I heard my family cheering when the announcer called my name. I could hear my father’s voice inside my head. My father’s name was not listed among those in attendance at my graduation ceremony. However, he was very much present, deep in my heart where his memory resides. As a person or family member affected by mesothelioma, one becomes a part of something bigger. A community of folks who understand exactly how it feels to fight the good fight, endure difficult battles and find comfort during times of loss. It is a membership for which we don’t apply — rather it finds us — and thus we find each other.